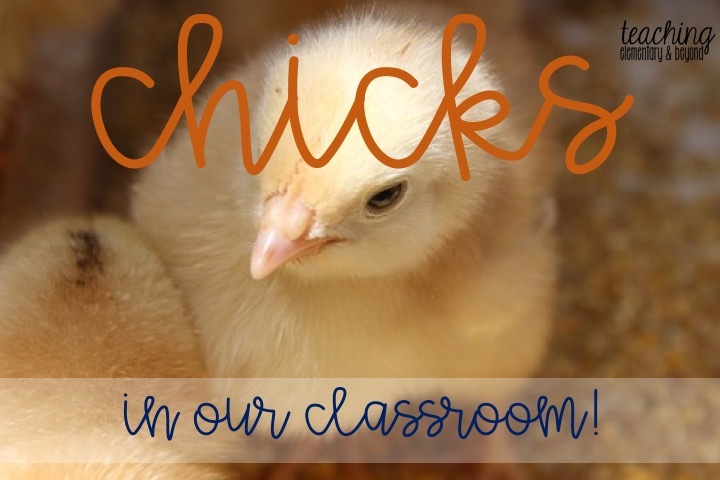 We started the idea of having chicks in our classroom from a friend who has done this several years in her classroom. She had an incubator that wasn't in use and we decided to give it a try. We got the eggs in the middle of May. Having chicks requires 21 dedicated days to rotate the eggs three times a day, and if you can get the participation of your custodial to help out for an early flip and/or late night rotation of the eggs. 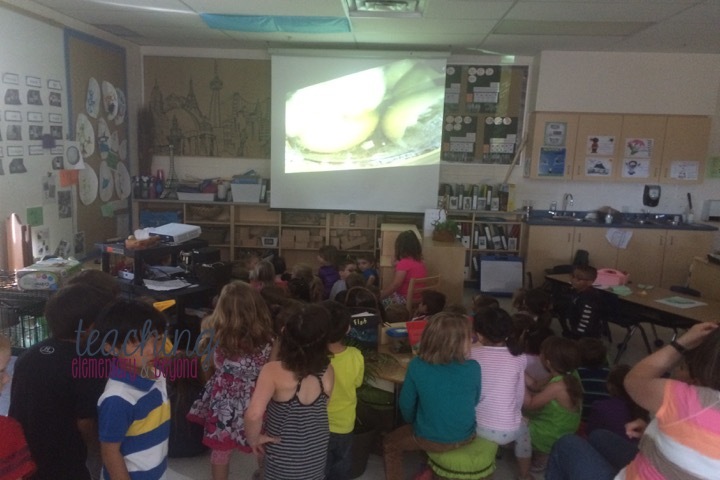 Even though it wasn't much of an engaging activity in our classroom, we usually had one or two kids engaged, wondering and watching what was happening inside the eggs. Our first day we saw this crack just before we went home. 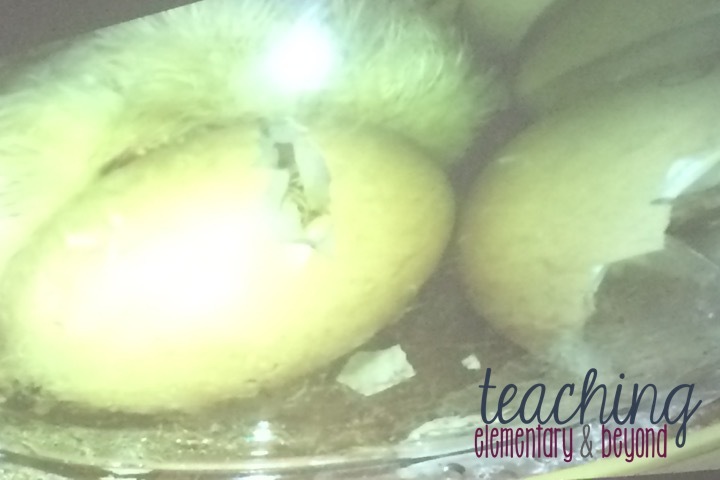 The next day we were excited to come to school with the lovely addition of two chicks who had hatched in the night! 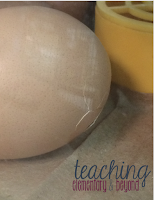 We had the lucky opportunity of being able to have a data projector project the hatching of an egg during our school hours. 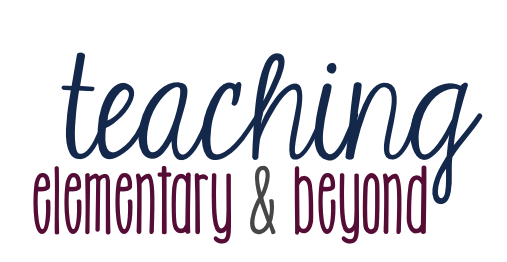 It was captivating for all of our students. Although it can be a small process, the egg we watched hatch was helped by the other chicks who had already been hatched as they smelled the food and were hungry. 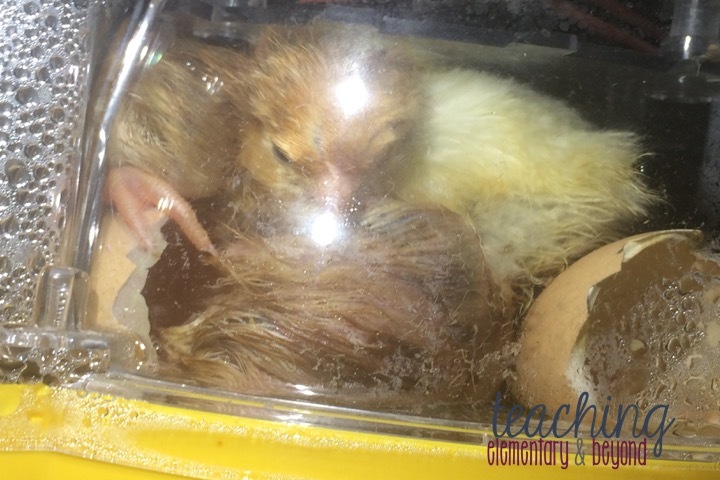 The chicks were squished inside the incubator! We originally had a dog cage prepared with chicken wire around it for the chicks to live in. We ended up visiting a local farm and learned from them to just use a large sized rubbermaid bin. It was much easier to clean out, transport to and from school (when required as we had one chick who needed extra support to learn how to walk), and helped reduce the footprint of space used in our classroom. All of our parents kept telling us how thrilled they were that their children were able to enjoy this experience. It was all they could talk about when they came home at night. I will admit, it was the best way to end the school year. There never was a day that the children were not excited to come back to school. Many kids were upset that they couldn't come if they ever were sick for a day. Sometimes the end of the year can drag on for children and even us adults. Not this year! 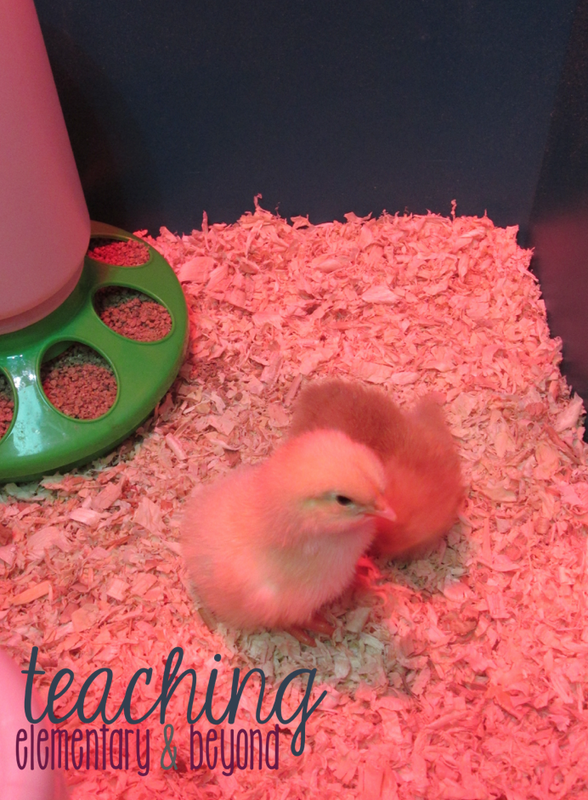 We timed it that we were able to send the chicks to a farm with only four days left of school. 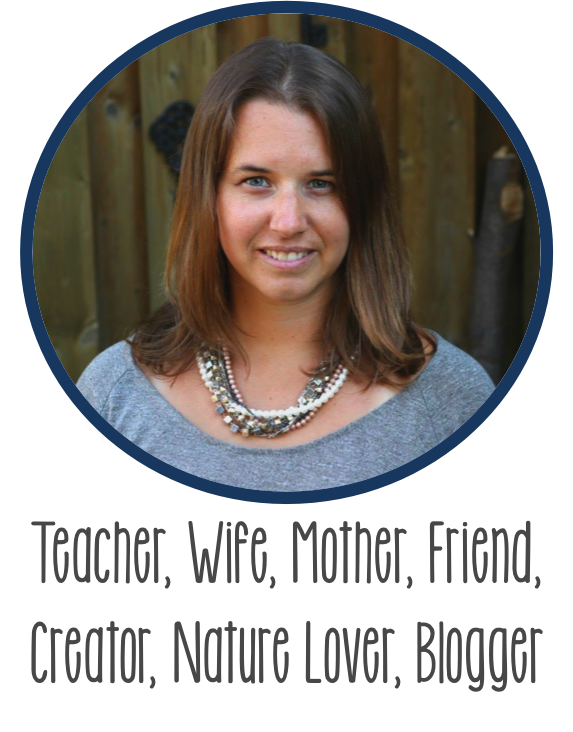 Even after they left, they were still the most engaged in learning I have experienced in my teaching career. 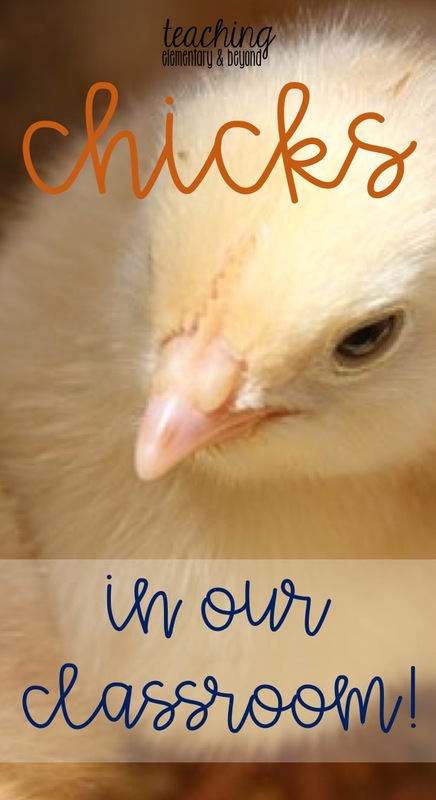 Which I know was a direct result in their interest in the chicks. This is an experience I would love to do again, if possible!